As climate change affects the industry worldwide, northern China may be set to benefit. 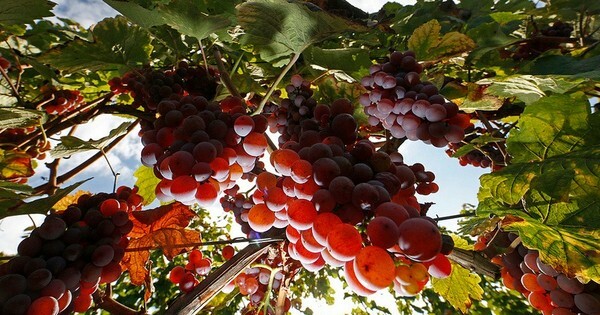 According to the latest analysis from the Chinese Meteorological Administration, average temperatures in China have risen 0.5-0.8C in the last century, making it possible to cultivate wine grapes 100-160 kilometres further north. 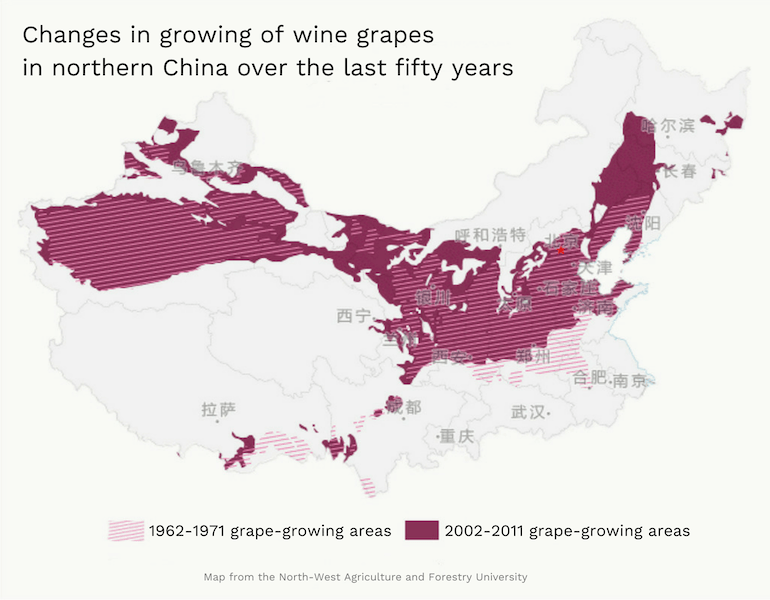 For 50 years, the zones suitable for wine grape cultivation have been moving into China’s North-West and North-East. Further research by North-West Agriculture and Forestry University explains that weather is crucial to a grape’s quality as it matures – and so to the quality and mouthfeel of the wine from that grape. Higher temperatures mean faster maturation and accumulation of sugars, but less malic acid, all of which affects flavour. The Intergovernmental Panel on Climate Change has said that if measures to stop climate change are not taken, global temperatures will increase 5.8°C by 2100. 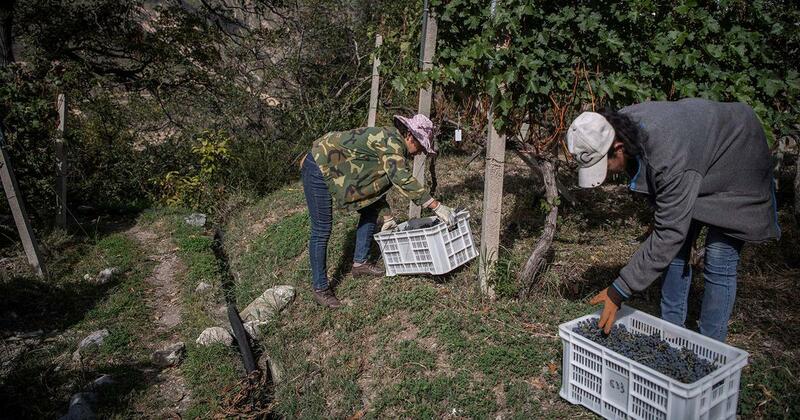 “An increase of 2-3C would (for the wine industry) be manageable. But an increase of 4-5°C would completely change the global wine map” said Bernard Seguin, of the French National Institute for Agricultural Research, speaking to Time magazine. The situation facing the wine industry reflects the profound impact climate change will have on human society. If anything close to a 5.8°C temperature rise comes to pass, the source and mouthfeel of our wine may be the last thing on our minds.